Nostalgic about Sicilian islands. A view from Lipari. There is a renaissance of Italian cuisine and restaurants in Brussels. Two of my first reviews were about Caffe al Dente and Winehouse Osteria which are setting the bar. This has also made it to the Belgian press. The first read for this week (in French) is an article in Le Soir about the Italian food revival in Belgium. It mentions quite a number of interesting spots some already known and others still waiting to be discovered. One of the articles I enjoyed most this week, also for nostalgic reasons, since it has been a long time since I have been to Sicily is this list of 13 islands of Sicily for foodies. 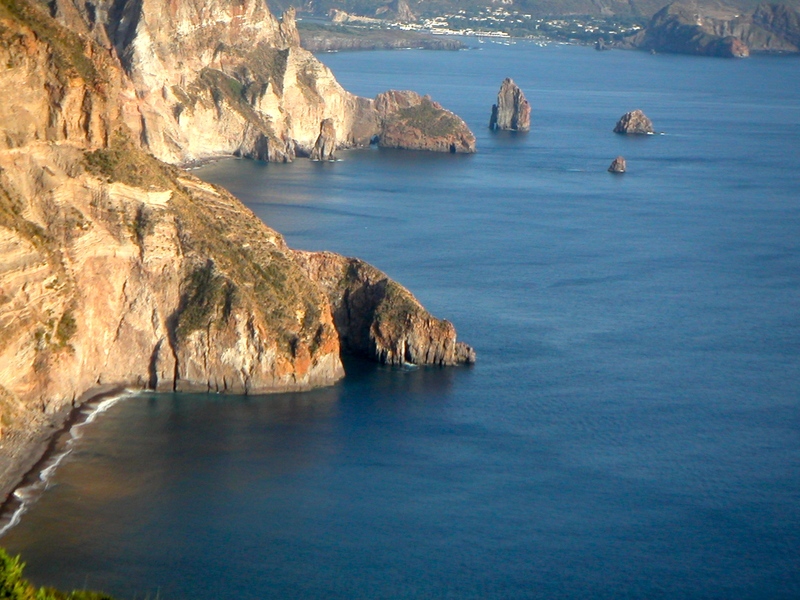 Above is a view from Lipari. You will also find a photo essay of some abandoned places which look really stunning. Here you will find a very nice story of two English men who took an Ape and travelled Italy before ending in London where they have opened a pizzeria as well as one on wheels. It’s called Pizza Pilgrims. The Roca Brothers of El Cellar de Can Roca are travelling to America at the end of July. They are closing their restaurant for five weeks and will embark on a tour of six cities in America starting from Houston and ending in Lima, Peru. Everyone seems to like lists nowadays. Here is one on the top 10 bakeries to see before you die. The food revival also owes something to television. An article here shows how we are influenced by cookery programmes on TV. It has been a particularly bad spring for Burgundy. Another hail storm has caused havoc. Previous Previous post: What is happening to French restaurants?